Regarding this aspect, WordPress came up with concept of parent and child themes where a child theme inherits all features of parent theme plus overwrites existing templates that parent theme uses in order you not loose your changes after theme update. Either using parent theme or child theme, it will not change anything on back-end, you still have the same options and functionality, child theme mostly affects look and feel of your site. Kalium is developed on that scale that all template files can be overwritten, this means that any template file inside kalium/tpls/ folder can be moved in your child theme and edited. Further, you can also edit shop templates located inside kalium/woocommerce/ folder and WPBakery Page Builder templates located inside kalium/vc_templates/ folder. Note: Menus and Widgets will not be deleted, however you have to re-assign them from Appearances section, because WordPress handles them. 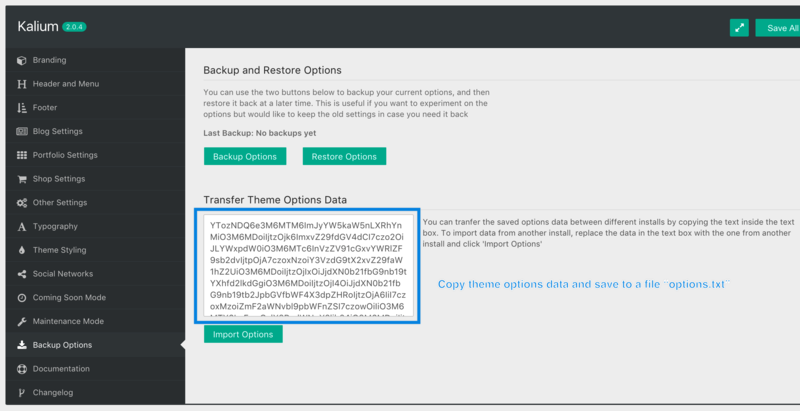 To install Kalium’s child theme read this article to learn more.